Telefónica’s subsidiary Movistar and TeliaSonera’s Spanish subsidiary Yoigo agreed to a network infrastructure sharing in Spain. Under the deal, the current national roaming contract for Yoigo to use Telefónica's 2G and 3G networks, signed in 2008, has been extended to 2016. This allows Yoigo to continue to offer mobile voice services throughout all Spain. Telefónica will gain access to Yoigo’s 4G network. Yoigo was the first operator in Spain to announce the launch of 4G services -- beginning with Madrid in July. Telefónica will be able to use Yoigo’s access network over 1800 MHz, allowing it to offer its customers ultra-fast 4G mobile broadband services under its Movistar brand. Yoigo's 4G networkuses 2x10 MHz in 1800 MHz. The rollout is expected to reach 48% of the population by the end of the year, which means bringing 4G to all cities with more than 70,000 inhabitants, making it the largest 4G network announced to date in Spain. To reach the speed permitted by 4G access, the agreement includes the use of Telefónica's transport network. To do this, Yoigo will contract new transmission capabilities from Telefónica, extending the agreement previously signed by the two companies. Telefónica said it goal remain to build its own 4G network once the 800 MHz frequencies it was awarded in 2011, along with 2600 MHz and 900 MHz, are available, which represented an investment of around €900 million. The agreement includes the commercial distribution of Telefónica’s fixed services by Yoigo. This enables Yoigo to offer its customers an integrated fixed mobile service - a service package of voice and fixed broadband with one or more mobile lines, including the subscription fee, at a fixed price and with one invoice only. The integrated product, which Yoigo will be able to commercialize in all its sales channels, will include its own mobile services and Telefonica’s fixed services of voice and broadband, both ADSL and fiber. 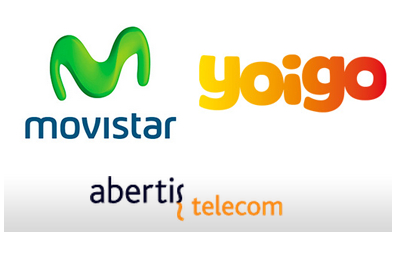 In addition, Yoigo and Telefónica will sell mobile towers to Abertis Telecom. The agreement is expected to be carried out in the fourth quarter of 2013. Abertis acquiring at least 4,227 passive infrastructures from these operators for €385 million. Albertis will upgrade most and dismantle those that overlap. After this acquisition, Telefónica and Yoigo's equipment will be hosted on the same infrastructures. Yoigo expects to generate EUR 60-70 million, helping it to reduce future operating costs. 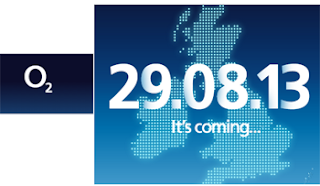 Telefónica's O2 outlined plans to launch 4G in London, Leeds and Bradford later this month. The network will be extended to 10 more cities across the UK by end of year. O2 is launching a range of tariffs starting at £26 a month, along with a 30 day "Happiness Guarantee" for customers who sign up direct from O2. Data usage on O2's 3G network has more than doubled in the past 12 months. O2 has invested £550m for 800Mhz spectrum, which was released to O2 at the end of May and was fully cleared by Ofcom this week. O2's network includes some 9,000 free Wi-Fi hotspots. 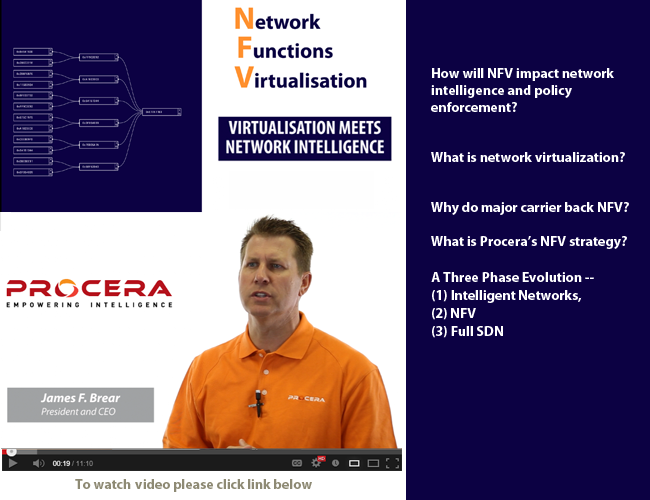 NFV will be truly transformative, enabling far better subscriber-aware services, says James F. Brear, President and CEO of Procera. First mover advantage will be a competitive weapon for network operators that capitalize on this innovation. 1:15 - What is network virtualization? Presented by Cam Cullen, Vice President of Global Marketing, Procera Networks. The newly completed USB 3.1 specification adds enhancements to enable operation at at up to 10 Gbps. 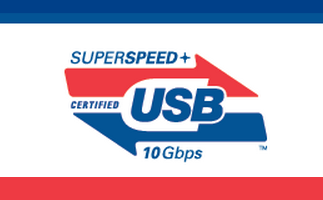 SuperSpeed USB 10 Gbps uses a more efficient data encoding and will deliver more than twice the effective data through-put performance of existing SuperSpeed USB over enhanced, fully backward compatible USB connectors and cables. Compatibility is assured with existing USB 3.0 software stacks and device class protocols as well as with existing 5 Gbps hubs and devices and USB 2.0 products. The latest release of the specification is now available for download from the USB Implementers Forum (USB-IF) website. President Obama nominated Michael P. O'Rielly of New York to serve as a commissioner at the Federal Communications Commission, replacing Robert McDowell who stepped down earlier this year. If confirmed by the Senate, O'Rielly would serve for the remainder of the term expiring June 30, 2014, previously held by McDowell. O'Rielly is a congressional staffer for Senator John Cornyn, a Republican for Texas. The U.S. Senate has not yet voted on the confirmation of Tom Wheeler for Chairman of the FCC. Wheeler is a Democrat. Verizon issued the following statement: "Verizon congratulates Mike O'Rielly on his nomination to serve as commissioner at the FCC. His experience and public service are tremendous assets that will prove invaluable as the commission addresses pressing needs, including the availability of spectrum, the transition to IP-based services and the need to modernize the country's outdated policy framework for communications technology. TE Connectivity (TE) introduced a new Category 6A unshielded cabling system designed for 10 GbE applications. The company said its Cat 6A U/UTP system offers the world’s first unshielded structured cable for 10 GbE transmission of up to 100M. Benefiting from TE’s AirES cable and “inside-out” filler technologies, the cable is able to provide higher throughput and an increased signal-to-noise ratio in a smaller package. At approximately 0.285 inches in diameter, the cable is up to 32 percent thinner as compared to traditional Cat 6A cables, helping to save space in the communications closet, reduce the amount of cable management accessories required, and lower the risk associated with fire and smoke in the plenum space. Time Warner Cable posted Q2 revenue of $5.6 billion, up 2.7% YoY. Residential services revenue increased 0.3% to $4.6 billion and business services revenue grew 21.8% to $565 million, while advertising revenue decreased 1.9% to $260 million and other revenue grew 60.3% to $93 million. Net income was $481 million, or $1.65 per basic common share and $1.64 per diluted common share, for the second quarter of 2013 compared to $452 million, or $1.44 per basic common share and $1.43 per diluted common share, for the second quarter of 2012. The growth in residential high-speed data revenue was the result of an increase in average revenue per subscriber, primarily due to an increase in equipment rental charges and a greater percentage of subscribers purchasing higher-priced tiers of service, as well as growth in high-speed data subscribers. Residential video revenue decreased driven by declines in video subscribers and transactional video-on-demand revenue, partially offset by price increases and a greater percentage of subscribers purchasing higher-priced tiers of service. 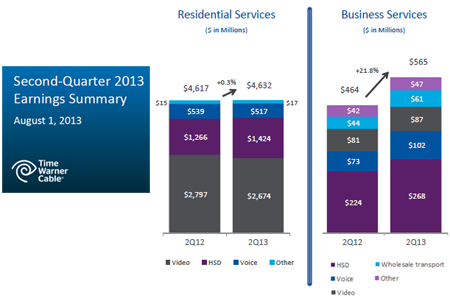 Residential voice revenue decreased due to a decline in average revenue per subscriber and lower voice subscribers. Video programming expenses grew 3.7% to $1.2 billion due to an increase in average monthly video programming costs per video subscriber, offset in part by a decline in video subscribers. Average monthly video programming costs per video subscriber increased 8.5% year-over-year to $33.54 for the second quarter of 2013, primarily driven by contractual rate increases and the carriage of new networks, partially offset by a decline in transactional video-on-demand. Average monthly revenue per residential customer relationship (ARPU) grew 1.2% to $105.21. Capital expenditures in the first half totaled $1.6 billion, consistent with the Company’s plans for full-year capital spending of $3.2 billion. Residential wideband high-speed data subscribers (which includes the 30, 50, 75 and 100 Mbps tiers) more than doubled year over year to 608,000 subscribers. The company continued to make progress with its Wi-Fi initiative; Aggressive deployment in New York City increased total access points to 19,000. Time Warner Cable has IntelligentHome available in approximately 80% of its footprint and has 24,000 customers. Second quarter net additions were the strongest since its launch. Business services reached a milestone in the quarter, delivering backhaul service to more than 10,000 cell towers. Tellabs reported Q2 2013 revenues of $212 million, compared with $288 million in the year-ago quarter. On a GAAP basis, Tellabs recorded a net loss of $8 million or 2 cents per share in the second quarter of 2013, compared with a net loss of $5 million or 1 cent per share in the second quarter of 2012. Tellabs’ GAAP gross profit margin was 37.8% in the second quarter of 2013, compared with39.6% in the year-ago quarter. "We made good progress in the second quarter, compared with the first quarter, as revenue and gross profit margins improved,” said Dan Kelly, Tellabs CEO and president. 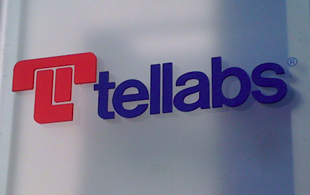 “We’re encouraged by this progress as we work to revitalize Tellabs with a focus on customers, strategy and results." 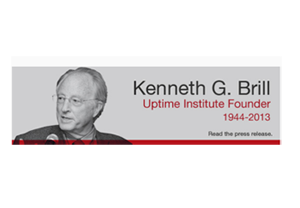 Uptime Institute, which is best known for its creation and global administration of the Tier Standard for data centers, announced the death of its founder, Kenneth G. Brill, who passed away on Tuesday. Mr. Brill was the Founder of the Uptime Institute and the Site Uptime Network. Many data center industry innovations over the past 25 years are underpinned by his original concepts, including dual power, the industry's Tier system for evaluating and classifying data center facility performance, and IT/facility energy efficiency and productivity measurement. Mr. Brill's research into the economic meltdown of Moore’s Law, data center productivity and energy efficiency, and IT's declining economics form core knowledge to be taken into account by corporate leaders charged with business performance, profitability and sustainability. "Ken Brill was inspired in his thinking, and resolute in his principles," said Julian Kudritzki, COO of Uptime Institute. "As a personality and an innovator, he left an indelible imprint on the IT and data center industry. His innovations are so fundamental to the progression of the data center industry over time that it is difficult to believe they can be traced back to the energy and passion of a single man. With Ken's passing, the industry mourns a ferocious critic and committed agent of change."